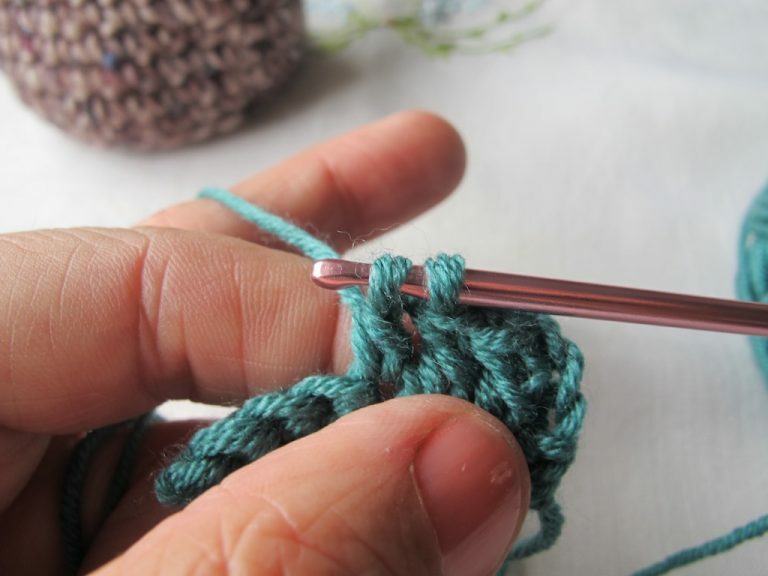 Trebles can be worked into stitches, or into rings, or chain spaces, but here I’ve illustrated the stitch being worked into a row of double crochet stitches. 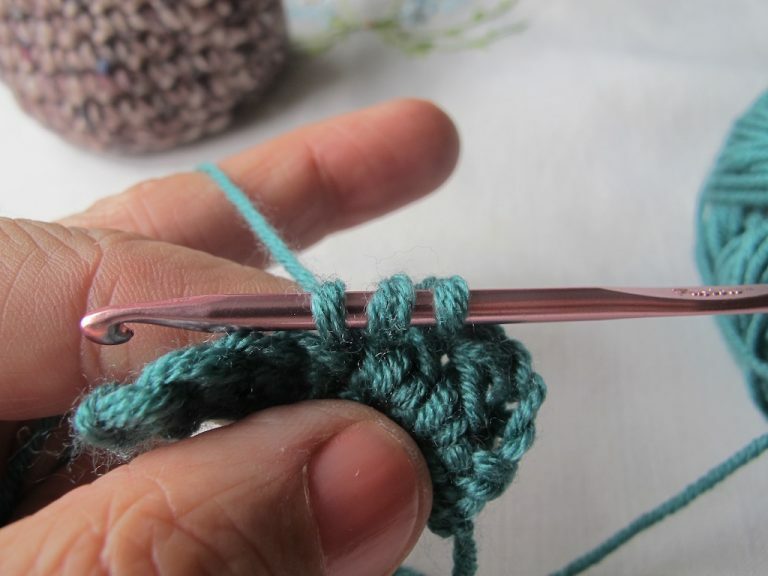 First, wrap the yarn around the crochet hook. Now insert the hook through the stitch you are working into. 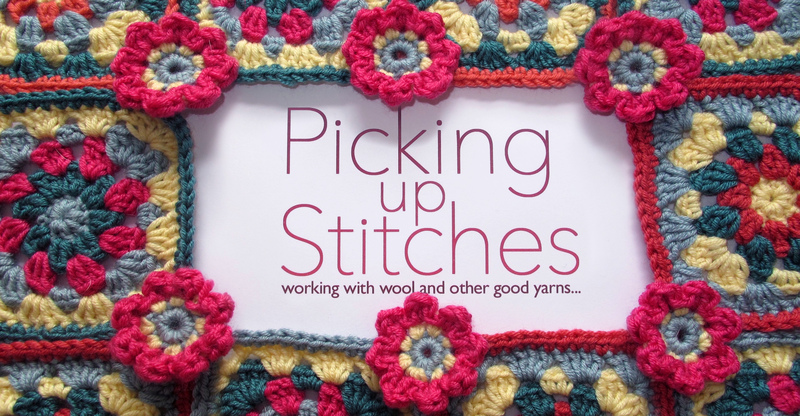 Wrap the yarn round the hook again. 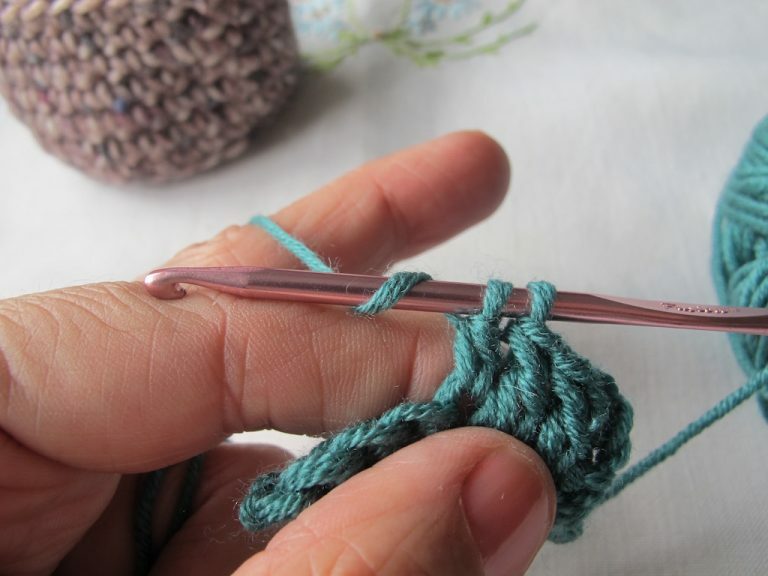 Draw the hook and yarn through the stitch. 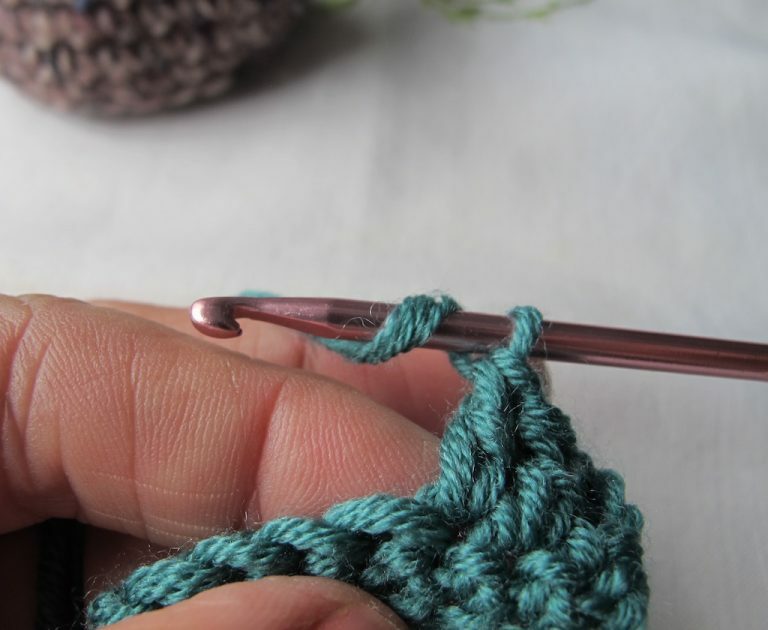 You should now have three loops on the crochet hook. Wrap the yarn round the hook again. Draw the yarn through the first two loops. 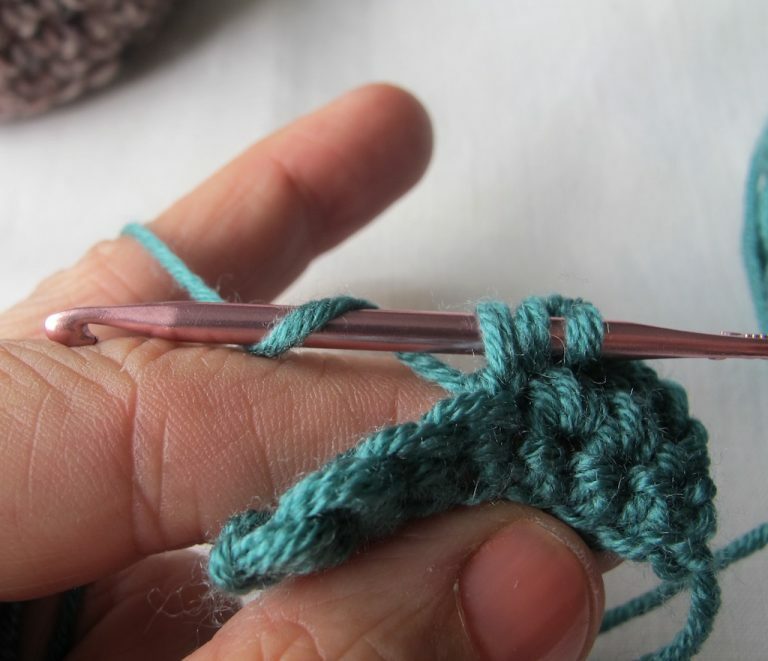 Wrap the yarn round the hook once more. 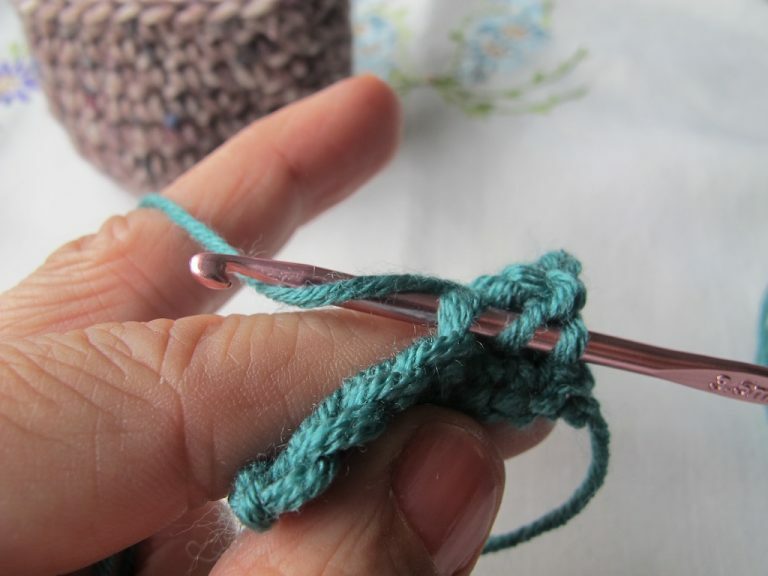 Draw the yarn through the remaining two loops. 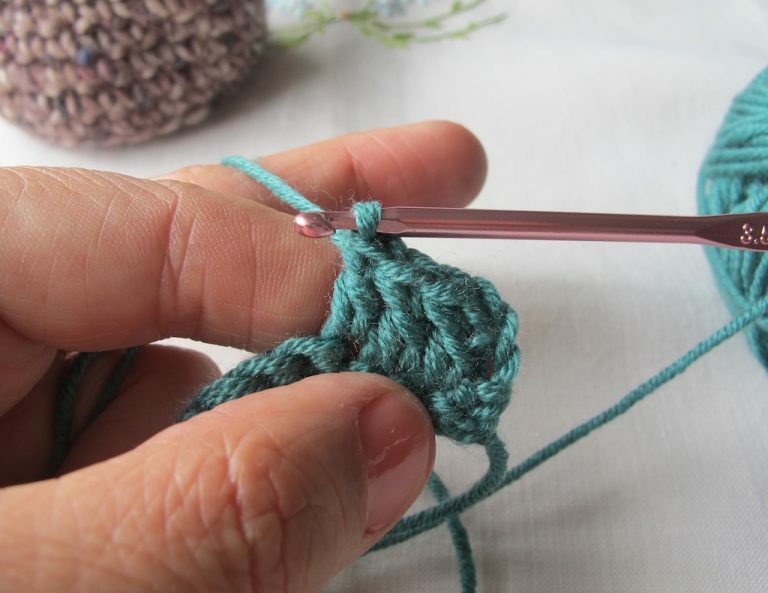 You have now completed the treble crochet stitch.